While prescription medications can help us live longer and healthier lives, any medication has the potential to do harm—especially when misused. Misuse often can lead to serious legal, social, and health consequences as drug overdoses now represent the leading cause of accidental death in the United States (Centers for Disease Control – CDC). With so much at stake for families and communities, Anton Media Group has partnered with the Manhasset Community Coalition Against Substance Abuse (CASA), Inc. to promote its Cardinal Health Foundation Generation Rx: Safe Medicine Practices for Life Campaign. The campaign strives to increase awareness about safe medication use and encourages residents to dispose of unnecessary medications at any Nassau County Police Precincts or local village police departments. According to the 2016 Surgeon General’s Report on Alcohol, Drugs and Health, more than 47,000 people died from a drug overdose in 2014, and nearly 30,000 of these deaths involved prescription drugs. From 2000 to 2015 more than half a million people died from drug overdoses. In addition, 91 Americans die every day from an opioid overdose (CDC). In 2015, 222 Nassau County residents died from an opiate overdose (Nassau County Medical Examiner). In support of the campaign, CASA is providing local pharmacies with free fact cards which list safe practices along with precinct locations where residents can dispose of prescription drugs. Pharmacies interested in receiving free fact cards can contact Manhasset CASA at 516-267-7548. For more information about Manhasset CASA, go to manhassetcasa.org. You can also like them on Facebook! 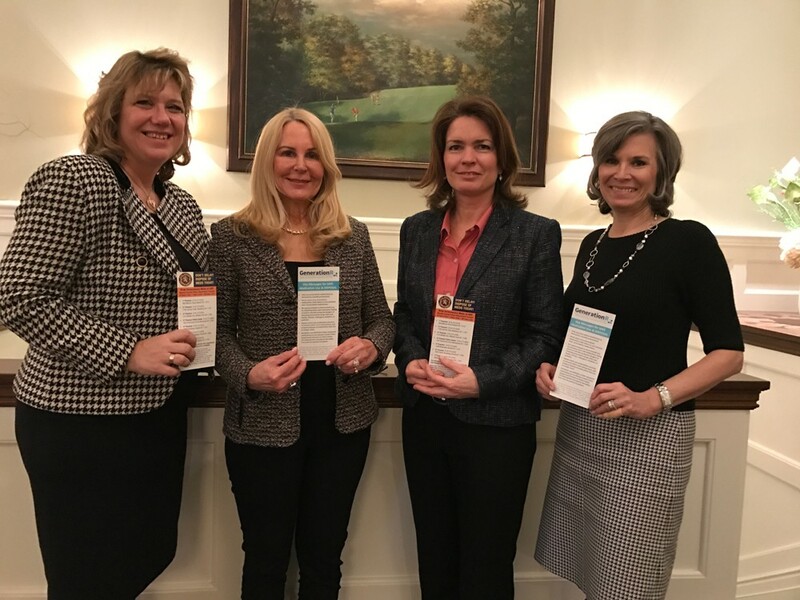 Anton Media Group promotes Manhasset CASA’s Generation Rx: Safe Medicine Practices for Life Campaign to increase awareness about safe medication use and encourage disposal of unnecessary medications kept in the home. Standing left to right: Elizabeth Johnson, editor, Manhasset Press and Port Washington News; Angela Anton, publisher, Anton News Media Group; Jennifer DeSena, executive director, Manhasset CASA; and Cathy Samuels, project director, Manhasset CASA. 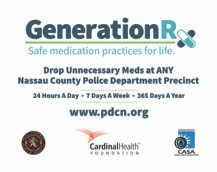 Anton Media Group is running the Generation Rx Ads in seventeen of its community newspapers to encourage prescription drug disposal at local Nassau County Police and local village precincts. The Cardinal Health Foundation supports local, national and international programs that improve health care efficiency, effectiveness and excellence and the overall wellness of the communities where Cardinal Health’s (NYSE:CAH) nearly 37,000 employees live and work. The Cardinal Health Foundation also offers grants to encourage community service among its employees and works through international agencies to donate much-needed medical supplies and funding to those who need them in times of disaster because Cardinal Health is #AllInForGood. To learn more, visit www.CardinalHealth.com/community and visit the Facebook page at www.facebook.com/CardinalHealthFoundation.